Total fund mobilised under Swachh Bharat Kosh (SBK) as on January 31, 2016 stood at Rs 369.74 crore, Parliament was informed Friday. "Since inception, donations received from corporates are Rs 365 crore and from individual are Rs 5.95 lakh," Finance Minister Arun Jaitley said in a written reply to Lok Sabha. Jaitley further said, so far, proposal for Rs 405,51 crore have been received for construction of toilets against which funds to the extent of Rs 359 crore have been released to various state level implementing agencies during December 2014 to January 2016. "Utilisation certificate for Rs 1.09 crore have been received from state implementing agencies of Sikkim and Tripura," the minister said. 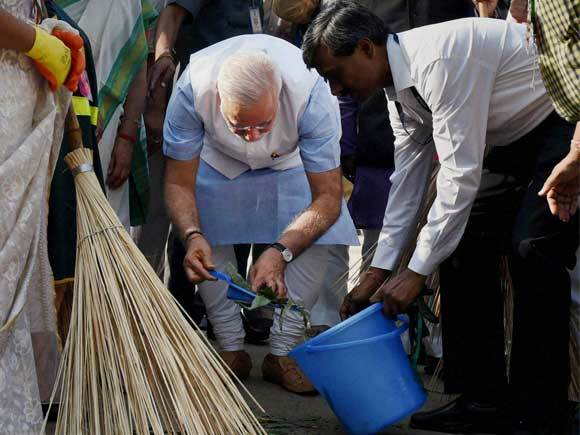 The release of funds is governed by 'Swachh Bharat Kosh Operational Guidelines'. As per the criteria for release of funds under these regulations, the funds are used for achieving the objective of improving cleanliness levels in rural and urban areas including in schools. Jaitley said the costing of projects to be financed by SBK is guided by cost noms of Centrally Sponsered Schemes (CSS) of similar nature.